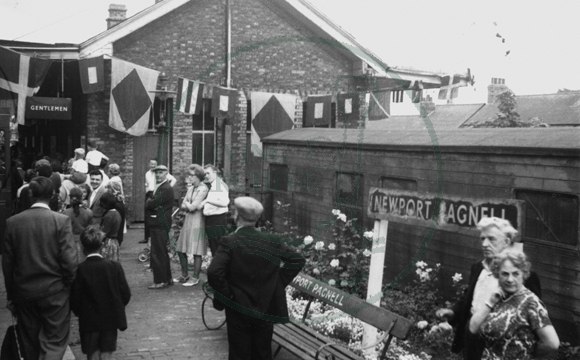 Passengers waiting to board the 'Newport Nobby' from Newport Pagnell station, on the last day of the line's operation c 1960s. This is actually Newport Pagnell station. Thank you very much for pointing that out we have made the changes, thank you again.